This afternoon I met Tabita for around an hour at the foundation’s office. Tabita is one of the leaders for the orphan mentoring project and she was one of the first persons that began this project. It was really interesting to hear how the project started and how it is running now. I truly believe that this project is making such a difference in the lives of the orphan kids at the orphanage we work on with the clubs, chapel, camps and some individual kids being mentored. For me personally it is a real blessing to mentor Andreea and even though I’m not officially Eva’s mentor I feel like I am too because we spend so much time together. 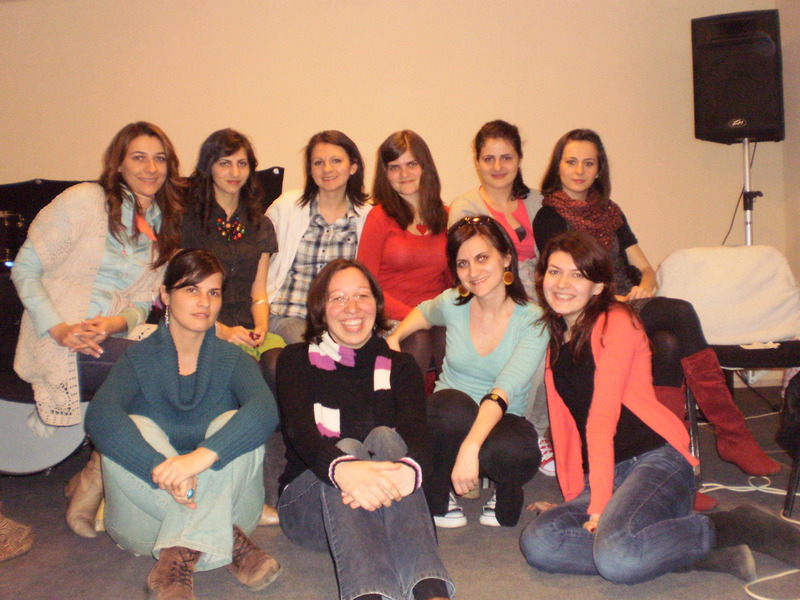 In the evening I went to my last girls Bible study from the Viată Nouă (New Life) church. Every other Tuesday we have been doing a study on the book of Esther by Beth Moore. It has been so inspiring to learn more about the life of Esther and I also grew in my own walk with God too during the study! We had a great last meeting together. I have included a picture of our group in this blog entry. What a blessing it has been to do this study with these wonderful Romanian girls!